The Red Elephant Wrestlers defeated Apalachee tonight 64-16. In the second match they also defeated Discovery with a score of 66-15. 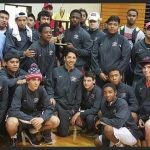 This is a great outing for the Wrestlers who finished fourth in the Area Duals last weekend. Congratulations gentlemen on today outings. Go Big Red!!! The Red Elephant wrestlers finished today in fourth place in the Area Duals that were held in Athens at Clarke Central. Go Big Red!!! 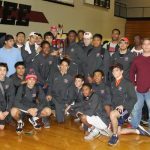 Red Elephant wrestling place 3rd in the East Metro Duals Saturday Dec. 19. Congratulations wrestlers. Go Big Red!!! Big Red Wrestlers score big beating Appalachee 56-14 last night. Anthony Constatini continued his winning ways by adding another pin to his stats this season. Congratulations Wrestlers. Go Big Red!!! The Red Elephants bring home the Hall County Dual Championship today. AccessWDUN has the story here. Thank you AccessWDUN for the video. Big Red wrestling team defeated Dawson, Johnson, Cedar Shoals, and Rabun Gap in a Quad wrestling meet last night. Anthony Costantini won his 15 match and is now 15-0. Congratulations GHS Wrestlers. Go Big Red! Terrell Knight in the 170 pound class placed 4th today at the Panther. Anthony Constatini won his weight class at 195. The Panther Invitational always brings in some of the best teams around North Georgia. Congratulations to Terrell and Anthony for their achievements today and last night. Go Big Red! 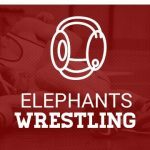 Even after forfeiting three weights to Winder Barrow in tonight’s meet, the Red Elephants won 57 – 18. All Winder Barrow points came from those forfeits.